Our bodies are 60% water and after my first scuba class, and the amount of pool water I swallowed, I expect that I'm pushing 65% water and 5% chlorine. What caused me to swallow the water, strangely enough, was not scuba. It was the much simpler act of snorkeling. The class (there are four students) started with classroom work learning the basics, putting our scuba equipment together, and learning how to check that the equipment is working properly. The second half of the class was in the pool. First we proved how out of shape we were by swimming ten lengths of the pool and treading water for ten minutes. Next we put on fins, mask, and snorkels and went through the basics. My issue was exhaling and sinking too far, allowing my snorkel to fill with water right when I had no air to purge it with. This resulting in me sputtering and coughing until I figured it out. Even after I figured it out I still had problems. While swimming around the pool breathing through the snorkel water seemed to be leaking in. This lead me to breath in and/or swallow copious amounts of chlorinated pool water. I will have to experiment a bit with snorkel placement next class to see if I can locate the problem. Once we stopped snorkelling and put on our tanks everything was fine. I have no problem clearing my mask and regulator of water and have no issues at all. Figures I would have problems with the simplest skill and no problem with the more complex. By the time the class was over we were all pretty exhausted. It really takes a lot of energy moving around water. Add to that I was bloaty from all the water I swallowed and all my coughs and burps smelled like chlorine and It was just peachy. I got home, rinsed off in the shower and crawled into bed where I proceeded to not fall asleep. When I finally fell asleep after 1:00am I dreamt most of the night that I was awake and couldn't fall asleep. It took massive doses of caffeine for me to get through my chores today. Hopefully tomorrow's class will be more scuba and less snorkel ... at least until I can get the hang of it. My scuba certification classes start tomorrow evening. I will have a total of five four hour sessions (Monday and Wednesday nights). How much of each session is class work and how much is pool work I do not know. I spent the last week doing a six section online class in preparation. There was a lot of info in the online course but not overwhelmingly so. Last week I went in and purchased my mask, snorkel, booties, and fins. The tanks and buoyancy system is provided as part of the class which is good since that part costs the most. After the class fees, equipment, and the equipment rental for the certification dives I will do in May, all I have to say is this is not a cheap hobby. Now that I had a chance to try it out a couple of weeks ago, I am no longer nervous that I will have issues breathing underwater. Having said this, things didn't go entirely smoothly since my Try Scuba class. Soon after I got home after the class I developed a toothache. It was a type that is cold sensitive with a good measure of pressure sensitivity thrown in. The pain would radiate up the side of my face all the way to my right ear and ended with a slowly fading 'ice cream' headache. This persisted for a couple weeks (including our Cuba trip) and naturally got better when I went to the dentist. Turns out my dentist was familiar with my issue. He was an Air Force pilot and they sometimes suffer from a similar condition. There are sometimes small pockets of air in filled cavities or between crowns and the nerve. As you go up and down in pressure (like when you are scuba diving or flying in an airplane) the air expands and contracts causing irritation of the nerve. The prescription ... root canal work. I will have to see how my pool work on Monday affects the tooth. I have a dental appointment set for Thursday (after my second class). The tooth doesn't worry me too much since acetaminophen does a good job killing the pain. I'm more worried about dozing off. I'm an early to bed type and having the classes be between 6:00pm and 10:00pm hits right when my body and brain start shutting down for the evening. I guess I know what I'll be doing tomorrow afternoon - Nap Time! We've been pretty lucky on our international vacations. We haven't had any major schedule changes or mechanical problems ... until this trip, that is. We got up early, had breakfast at the very nice hotel buffet, and checked out. Our bus got us to the airport a couple hours before our flight was supposed to leave. Unlike the guides from our other tours who usually dumped us off at the airport and waved goodbye, both of our Cuban guides waited as we picked up our boarding passes and hugged us all individually and said goodbye. The tour company arranged the use of the VIP lounge for us as well which was a nice touch. We spent the last of our Cuban currancy on cigars and snacks before they started our boarding. We got on the plane, it starting rolling for take up, it accelerated, and then ... slowed back down. The captain came on and said that one of the air speed indicators wasn't working and he would have to pull off the runway to inspect it. Soon after we pulled off we were told to deplane and head back to the terminal. We flooded back into the VIP lounge, which was crowded now, and found a place to sit down. The crew showed up soon afterward and told us that a bee had plugged up one of the pitot tubes. We got a laugh out of that. Unfortunately FAA regulations required that a mechanic be the one to remove the bee and the nearest mechanics were in Miami. We would have to wait until either a new plane or a mechanic could be flown from Miami to Cuba. The flight from Miami to Cuba is about forty-five minutes so it should have been a short wait but having to ready a second plane, finding a crew to fly the plane, and getting all the approvals from the US and Cuban authorities resulted in an eight hour delay while we waited for another plane. Fortunately for us our AAA agent had suggested we spend the night in Miami and fly out the next day as she had heard that flights out of Cuba were often delayed. She was prescient. Instead of having a relaxing afternoon and evening in Miami we ended up getting to our hotel in time to go to bed and get four hours of sleep before we caught our flight home. So ... did I like our Cuba trip? Yes and no is my best answer. More yes than no. I enjoyed visiting Cuba before the wave of American (and other) tourists arrive in force in the near future. I enjoyed seeing the old homes and old cars - a society and landscape frozen in the '50s. But Cuba is different from the places we've traveled to before. Rum ... I don't drink. Coffee ... I don't partake. Old Cars ... ok, the cars were pretty cool. I appreciate them but I'm not a huge enthusiast. So I was a bit disappointed. I'd hoped for a surprise but instead I got what I expected - an interesting people living a latin american lifestyle. 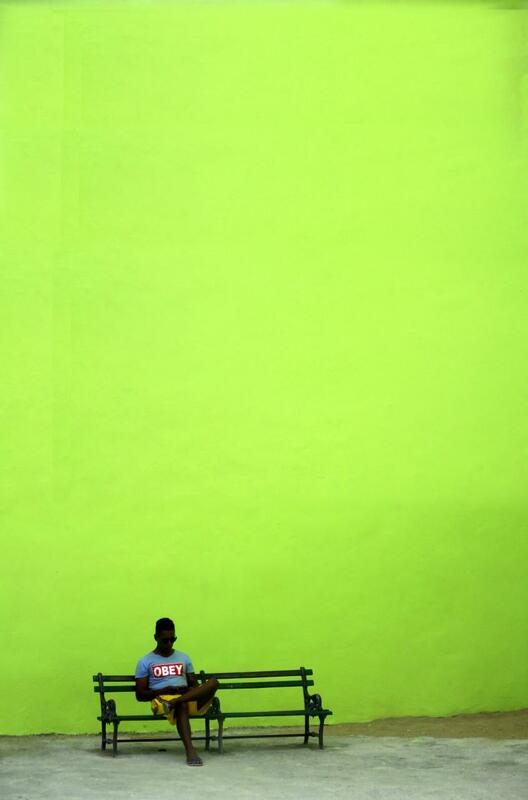 The city and the people reminded me a lot of Guatemala where I spent nine years of my adolescence. This took away some of the potential charm that a person new to Latin America might experience. Is this Cuba's fault? No. Cuba is as good as Cuba can be I think. I saw the ubiquitous Che images but learned that there are no Fidel images. 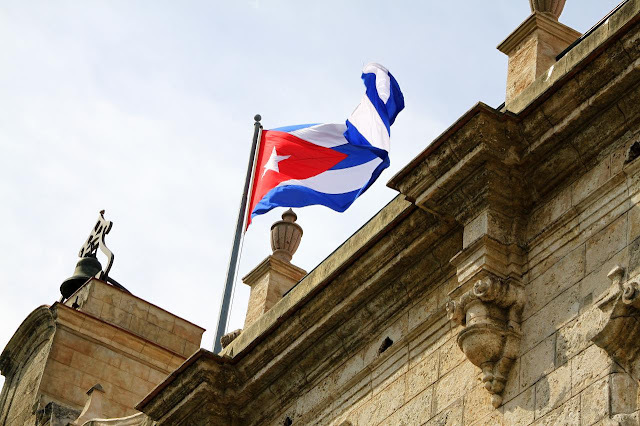 I learned that religion such as catholicism and santeria are very important in Cuba unlike other communist countries where religion is discouraged or forbidden.. I learned that, at least for foreigners, there is a lot of freedom - I somewhat expected some of the paranoid feelings of being watched I had in Tibet but there weren't any. I learned that most of the old cars, passed down from one generation to another, are taxis but acted like buses, each having a set route. I learned that most prices are fixed by the government. I kind of knew this before but I didn't realize how easy it made it to predict how much money you would need. I learned that there is still a lot of private business going on like the paladares and the sellers in the craft market. I think Cubans will do fine once capitalism, albeit a Chinese version of state capitalism, takes hold. I learned that doctors earned between $25 and $60 dollars a month but the education needed to become a doctor is free. Our guide, who was from Uruguay, was getting a free education and once he completed it owed nothing to the Cuban government. All healthcare was free in Cuba. Speaking of healthcare, I learned it was a bit hazardous touring Havana. Our group alone had a person who tore ligaments in her ankle and another with a potentially fractured wrist. We met two other tourists, one with a patch covering her eye and another with a broken leg. 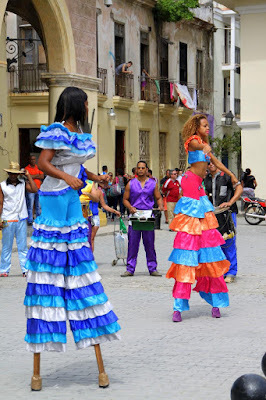 You have to watch your step in the streets of Havana. I learned that, like many Americans, the Cubans also believe that President Obama will solve all their problems. In anticipation of the President's visit they were repainting street markings and sprucing the city up. There are many other lessons learned and they made this trip worthwhile to me. 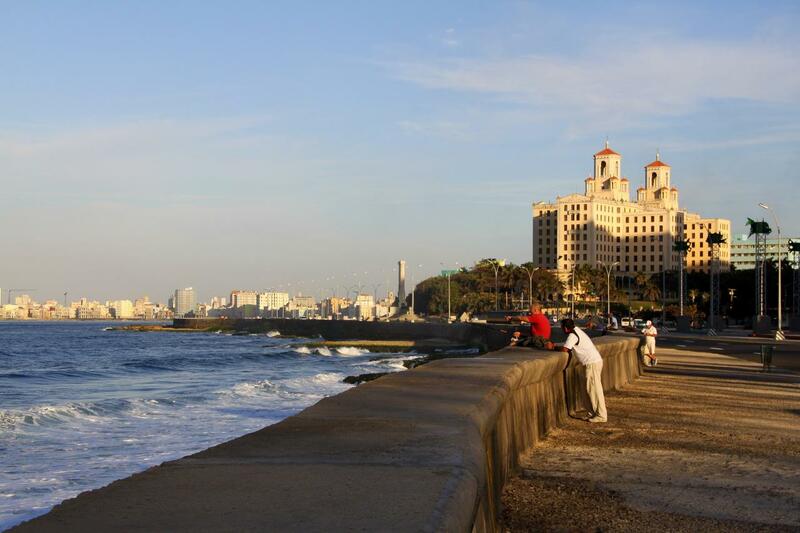 Cuba will inevitably change over the next decade as the embargo is lifted and tourism from around the world increases. Cuba has a long way to go before it is ready. As many as a hundred and ten flights a day have been approved to start later this year. Anyone who has flown into Havana knows that airport can't handle that many flights. President Obama traveled with an entourage of five thousand diplomats and business representatives. We heard as we were leaving that people were being moved from their hotel rooms to other accommodations outside of Havana to make room for some of them. If they can't handle a surge of five thousand then they are not ready. Think how many people will arrive once the cruise ships from Miami start docking. Our guides acknowledged that the Cuban infrastructure was not ready for what is to come. Let's hope they expand carefully and thoughtfully and that the Cuba we experienced will continue for some time to come. Now, for us, it's onward to South America. Well ... Not me but my Google doppelganger did. I wrote about him in a post six years ago. This week I received a Google Alert. My/His name had come up somewhere on the intertubes. Sadly, the reference was to an obituary. My doppelganger passed away last week at age seventy-five so he lived a long life. The obit had an accompanying picture. We really don't look anything alike but he did have blond hair like I once had. He had, if I'm reading the obit correctly, eleven children! He was an art teacher for twenty-nine years, an NRA member, an Eagle Scout, a Silver Beaver, and a master angler. I think he must have been an interesting fellow. Too bad we never had the chance to meet. Rest in peace, Bruce H. Rest in peace. Day three was out lightest day. 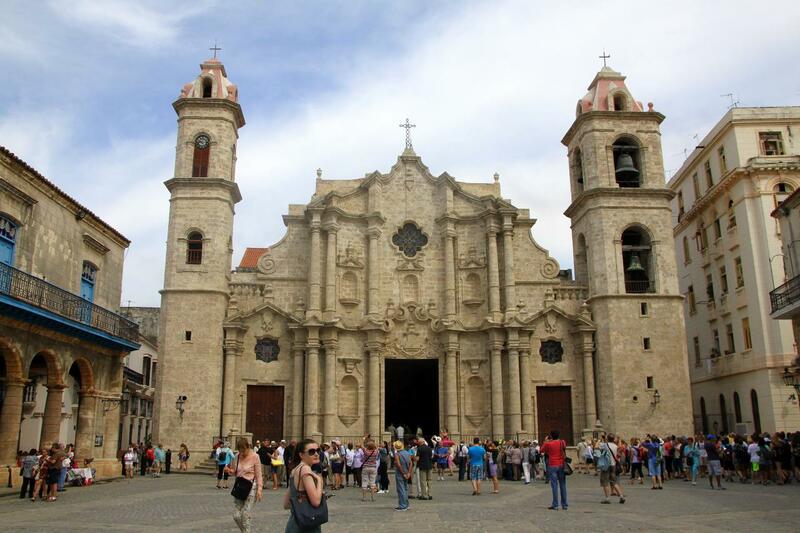 We started with a walking tour in old Havana near the Plaza de la Catedral. We'd been hoping to see inside the cathedral and to climb to the top of one of it's two towers for a few days now but, once again, we were thwarted, this time by a baptism. We never did get into the cathedral so we have at least one reason to return some day. The cathedral that we never got into. The walking tour took us to four different plazas, each with a unique history. After the plaza de la catedral we moved on the Plaza de Armas. The sidewalks around the park are lined with book stalls selling all styles of books, records, and small collectables like pins, rosaries, and antique jewelry. The Wife bought two copies of her favorite book, "The Old Man and the Sea" in spanish. One stall had a box of records. The first record was "My Favorite Hits - Mickey Mantle". We laughed at it but didn't bother to see how much it was. I made the mistake of looking it up as I was writing this post. $300.00 *sigh* Probably could have made a nice profit. After the plaza de armas we moved on to Plaza de San Francisco. This plaza is across the street from the harbor customs building and was once a place for commerce. The plaza is located next to the Convent of Saint Francis de Assisi. Complaints about the noise from the vendors resulted in smaller vendors being moved to another nearby Plaza. down a narrow street, to the capitol building. This plaza, the Plaza Vieja, was our next stop. On the way we went into a restaurant that had an opening to the old aqueduct that once brought water to Havana. In the plaza we were given some time to wander on our own. Here is a scrolling panorama of the plaza. It is full of glitches but it gives you an idea (Move the cursor left and right to scroll). 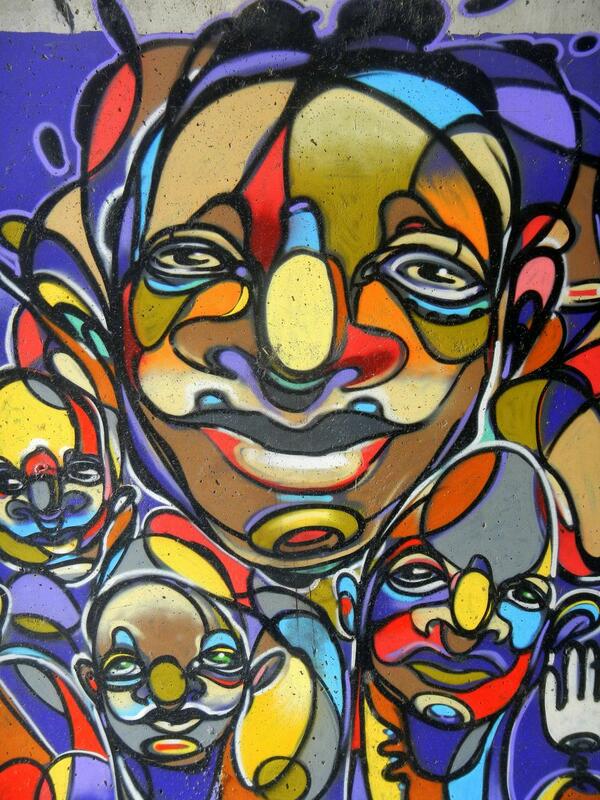 There was artwork displayed around the cafe and restaurant lined square. The art included a large statue of a naked bald woman holding a giant fork riding a rooster ... yeah ... weird. A wandering conga band showed up with stilt walking dancers. The music livened up the plaza. From the plaza we walked to a nearby restaurant for lunch. I have to say my lunches were more satisfying than my dinners most of the time and this lunch was no different. After lunch a short bus ride through Havana took us to listen to the Cuban National Choir. This world renowned choir sung several favorite Cuban songs as well as some more familiar ones. Very beautiful. The space which we were in - it appeared to be the home of a soccer club - was not the most comfortable. It was the first place where I really got hot. Stilted conga dancers in Plaza Vieja. The last stop of the day was a place to buy cigars, rum, and coffee. The Wife had a list of cigars that her Brother had given her. He must have done his research as the owner of the shop seemed very impressed with his selection. We bought a set for him as well as a set for the Wife's school - they will be sold at the school auction in November along with a bottle of Rum that we bought there. Our bus returned us to the hotel. After some discussion the wife and I hired another coco taxi and headed back to the craft market. There we bought a couple humidors for the cigars along with some stuff to add to our international guest room. My souvenirs this trip was a wooden '57 chevy I bought at the craft market and a Che t-shirt I bought at the hotel. We also bought magnets naturally. We'd hoped to try one more time to go back to the Cathedral but we really didn't have enough time. We returned to the hotel in another coco taxi and rested a little before we went out for our goodbye dinner. Our goodbye dinner was at La Casa, one of the oldest privately run paladares in Cuba. We had another good dinner with live music ("Stand By Me" was played ... naturally) Unlike some of the dinners I ate this trip, this was one of the better ones. Flan was served for dessert which was a bit disappointing but it was followed up with small ice cream cakes - the chocolate one was awesome. We all headed to bed relatively early this night. This was time change weekend and, frankly, no one was sure if the time would change in Cuba. Our guides said no. The flyers at the hotel said yes. To be safe we asked for a wakeup call and drifted off to sleep. Pictures can be found in my 2016-03 Cuba Google Photos album. I spotted this from our bus on the way to old Havana. The t-shirt message meshed well with my misinformed image of the Cuban police state. On day two of our Cuba trip we had the luxury of sleeping in a little. The Wife and I slept like logs, hardly moving at all throughout the night. We had breakfast and met at a small hotel conference room. We were going to meet with a university professor and I prepared myself for a dry lecture by some political officer. Instead we got a very interesting lecture by a retired political science teacher. He was currently the publisher of a magazine about human rights and other potentially subversive articles. He was surprisingly open and honest about the problems Cuba was experiencing and how the Cuban-American relations have changed over the past few years. I left the lecture with a better understanding of Cuban history and the impact of the embargo on the Cuban economic and societal structure. After the lecture we boarded our bus and headed to a Cigar factory. It took a couple tries to find a factory which we could get into without a long wait. Pictures were not permitted in the factory - security was fairly high. We watched as five types of tobacco leaves (harvested from plants grown under two different conditions) were combined in secret formulas to make the different types of Cuban cigars. We learned that the cigar rollers were often read to to occupy their minds (Romeo and Juliet and Montecristo cigars are named after their favorite stories). Interestingly enough, you could not buy cigars at the cigar factory. Next stop was a typical food market where we had a a few minutes to see the produce. They had a nice variety of fruits and vegetable. It reminded me of a smaller version of what I saw in Guatemala when I was growing up. The fresh food prepared us for lunch. Lunch was at a Paladar. A paladar is a restaurant in someone's house. Paladares were one of the first steps taken when the government loosened the restrictions on privately owned businesses in Cuba. I had the pork plate which not only was very good but it was so much that I left some of my meat uneaten on my plate. Fortunately I had room for the ice cream with sprinkles that was served for dessert. After lunch we were to visit a Jazz club to learn about the musical influences of Cuba but there was an electrical outage and that visit was canceled. Instead we were taken to a craft market. At this point, the Wife and I along with another group member we'd befriended left the group and, with the help of Gm, hired a chevy convertible to take us around. The city of Havana from El Morro on the other side of Havana Bay. 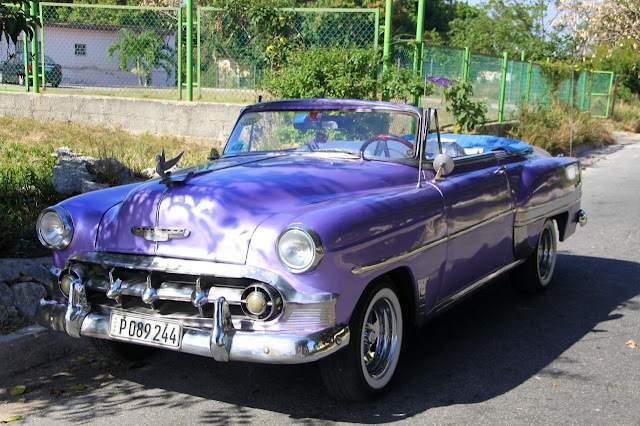 We got in the car (a purple convertible with white interior) along with the owner who was driving and his son (Elvis), who knew English, and drove up to El Morro, the ridge across the bay from Havana where two forts were located. We visited a large statue of Jesus, Che Guevara's house, the wing of a downed American military plane, and an old fort that once protected Havana from pirates and corsairs. From the vantage point of the fort you could get great views of the city. The weather was perfect. Che Guevara sculpture in the Plaza de la Revolución. After El Morro we went to the Plaza de la Revolución. In the middle of the plaza is a monument dedicated to José Martí who helped free Cuba from the Spanish. The monument is a tower you can climb up. I started up the stairs at the base to see if I could go inside the tower and climb to the top when a whistle blew. I looked around and saw a guy at the top of the stairs. He blew the whistle again and said the monument was closing. Darn. They wouldn't even let you up to the top of the base. For future reference the tower closes at 4:30PM. 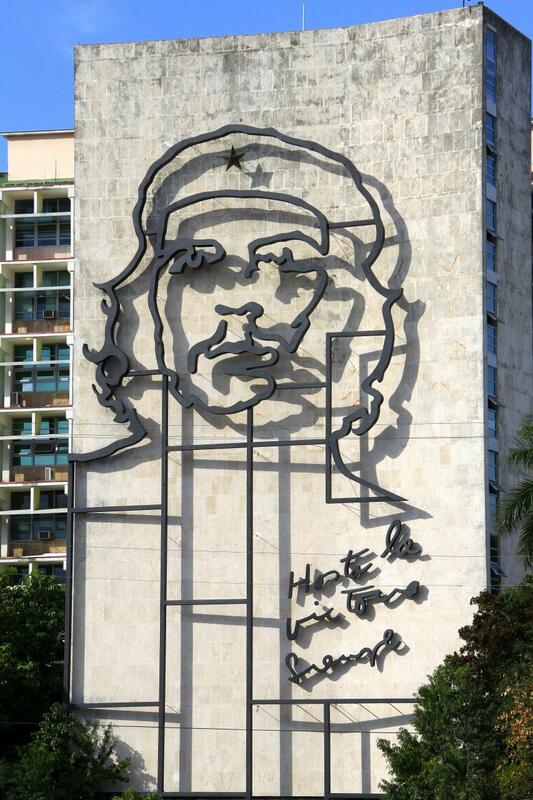 I took a few pictures including the large sculptures/murals of Che Guevara and Camilo Cienfuegos. We talked about Cienfuegos with Elvis. There apparently are conflicting stories about how his plane disappeared. While it probably was an accident, the schools blame the US for shooting his plane down. In a hushed tone our guide suggested it was Castro who arranged the disappearance. There would be a few slightly twisted explanation of historical events told by all of out guides. When the stories were anti-American you could tell our guides were embarrassed. We lightened the mood by turning these situations into jokes so we all could laugh and smile a little. After the Plaza we drove past the capital building, the large cemetery of Cristóbal Colón, and old Havana before our car dropped us back at the craft market. We walked though the market briefly and bought a few items (most of these not for ourselves). Our ill fated Coco Taxi. Poor Coco. We met back up with our tour mate and walked over to a cluster of taxis to get back to out hotel. On a whim we chose a coco taxi. 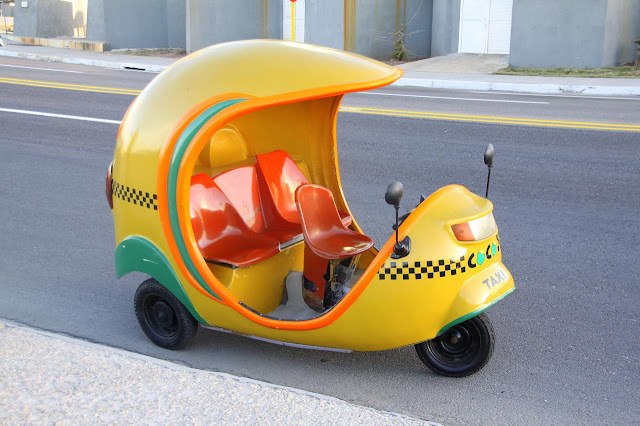 A coco taxi is basically a moped with a big spherical enclosure. The three of us squeezed into the hard fiberglass seats and off we went like the breeze - slow and steady. We had our driver stop briefly so we could take a picture of some Che graffiti before we sat back and watched the people and cars along the malecón. It was relaxing despite the high pitch whine of the coco taxi engine. That is, it was relaxing until the engine started sputtering and died. Waiting on the malecón wondering how we would get back to our hotel. The coco taxi died about half way to our hotel. Poor coco (poor coco is one of our little inside jokes). We got out and leaned on the sea wall as our driver tried to bring coco back to life. Even another coco driver couldn't help. We were debating if we should start walking when a yellow Model T ... yes ... I said Model T ... pulled up. The Model T was a taxi and we jumped in and rode in style to our hotel. Despite the coco incident we had a great time on our own in our purple convertible. We liked it so much that we convinced more people in our group to hire cars the next day. If I ran Insight Cuba, I would include an old car rental on all tours. This night dinner was on our own. We'd been given a list of paladares and Gm had said he would help us with getting a reservation and transportation. We talked amongst ourselves and decided to go as a group (a group of fifteen with the other seven doing their own thing). This made Gm's job easier. Our bus driver volunteered to pick us up and took us to a paladar in old Havana. We were on our own getting back. The paladar (Las Terrazas at El Gijonés) was very good but, again, a bit too froo froo for my tastes. Our table was on the roof with views of the city. A group of musicians wandered the area playing music. 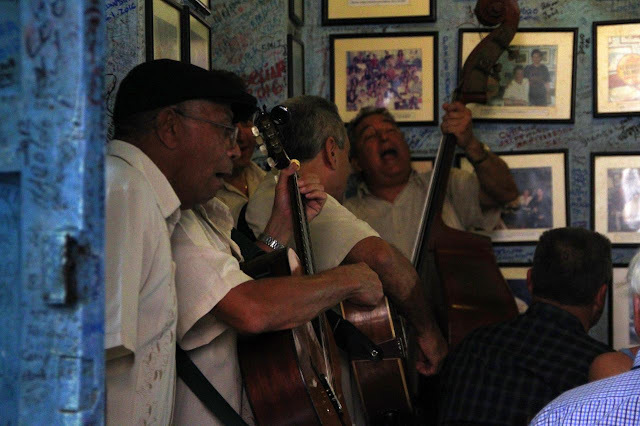 For some reason "Stand By Me" was a very popular song for Cuban restaurant musicians. We all smiled when they started playing "Jumping Jack Flash" - The Rolling Stones would be playing a free concert a couple of weeks after our trip (a week after President Obama was having his visit). Despite having had a good night's sleep, we were beginning to slow down. A few of our group went to La Floridita, another one of Hemingway's favorite bars, but we'd had enough. We got in a taxi and headed to the hotel to bed. Photograph: "Watching Life Go By" ... Or Happy First Day Of Spring! It's the first day of Spring!!!! Everyone get outside and enjoy the springiness! See ... this man is enjoying it. Yes ... I know. 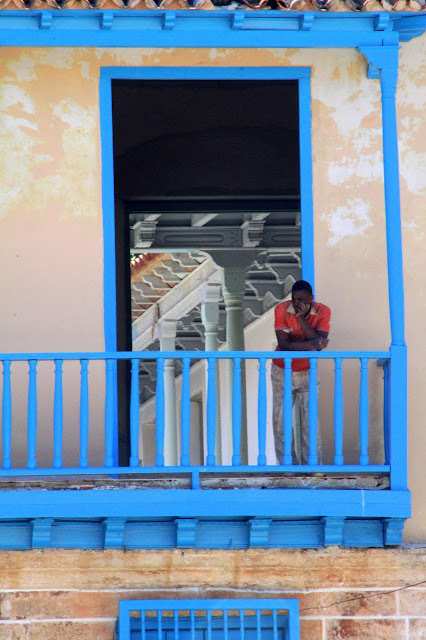 This picture has nothing to do with Spring - I was all out of flower pictures - but I really like this picture of a Cuban man looking at the street below with the ceiling beams visible through the doorway. 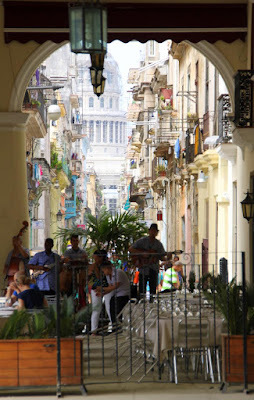 The first of our two trips this year was to the Island of Cuba. This was one of the shortest distance we've ever traveled for an international vacation but, relatively speaking, it was also the longest. 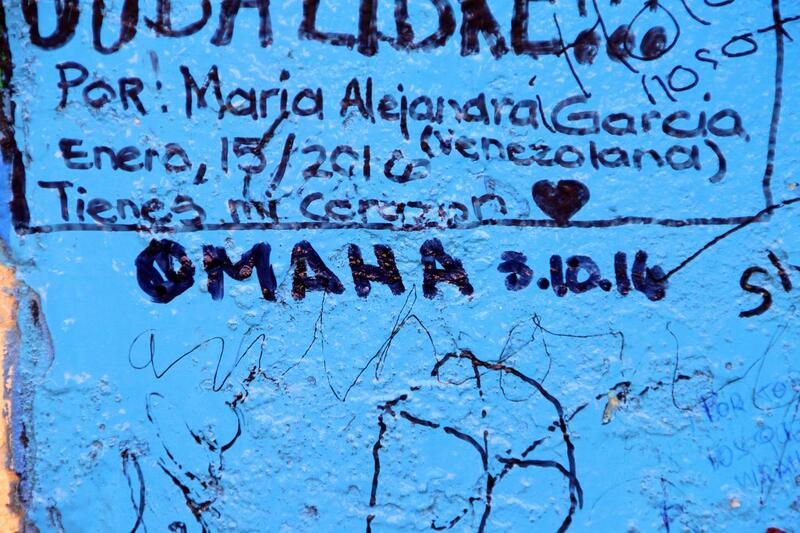 It takes about five hours and forty-five minutes to fly from Omaha to Havana, Cuba. Despite this short flight time it took twenty-four hours to get there thanks mainly to the embargo. Cuba has been embargoed by the USA since the Kennedy administration. Because of this it has been illegal for Americans to travel to Cuba. In 2015 the Obama administration loosened restrictions allowing so called "people to people" exchanges. This allowed Americans to travel to Cuba for educational exchanges. A limited number of travel companies were approved by the US state department to organize these "people to people" tours. It turns out that the tour company that we have used ever since our first big international trip (Peru) was one of those approved travel companies. The first day of our trip started with a flight to Miami (via Chicago). Currently the only flights going to Cuba from the US are charter flights out of Miami. This will change soon as the state department and Cuba have approved commercial airlines to fly to Cuba from many American airports. Commercial flights will start later in the Fall. In Miami we met with the other twenty people traveling with us. At twenty-two this was the largest tour group we'd ever traveled with. While the group skewed older, there was still a good mix of people and all of them were travellers. A representative of Insight Cuba (The Cuban tour company that subcontracts with our tour company) gave us a briefing about what was going to happen the next day and provided, largely inaccurate, information about our tour. Things changed a lot and very fast in Cuba. The best motto to apply to our trip would be "Everything is subject to change." 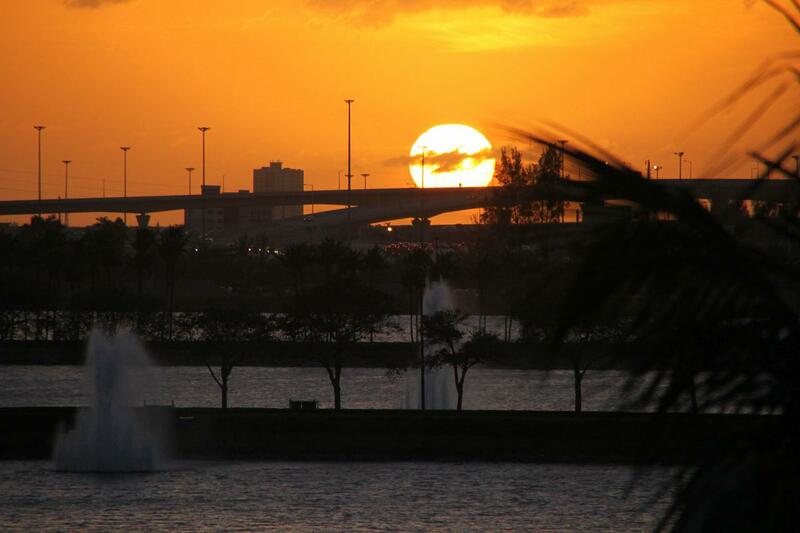 The sun sets over Miami - taken from our hotel room. Day One - Too much to fit in with too few hours of sleep. We had to leave to go to the airport at 4:30AM so we set a wake up call for 3:30AM. The wake up call rang at 2:30AM (AAAAAHHHH). I called the front desk to confirm the incorrect time and to make sure he was as awake as I was. I did manage to get another half hour of sleep before we really had to get up. We shuttled to the Miami airport - an airport that felt like a third world airport - and proceeded to wait in lines. The lines are long because many Cuban travelers take a crap ton of things with them to give to their families. The flight to Cuba has weight restrictions because of this. Our tour leader in Miami did manage to expedite things a bit and we were able to avoid some of the longer lines. The flight was a short forty-five minutes. As we taxied to the terminal we saw a US Air Force plane on the tarmac - part of President Obama's advance team we assumed. We flew through customs. I expected more questions and hassles but I was only asked a couple simple questions about why I was in Cuba. The customs officer stamped my entrance on page sixteen of my empty passport (it was brand new and she stamped in the middle of the passport ... sigh). We collected our one checked bag and met our Insight Cuba rep (Gm). While we waited for others to get through customs I changed some money (Cuban currency can only be changed in Cuba). This would be a cash only tour as US credit cards aren't accepted in Cuba thanks to the embargo. We boarded our bus and met our Cuban guide (Ro). Either Ro, Gm, or both would be with us most of the time. While this sounds like they were "minding" us, I'm pretty sure they weren't. We were encouraged many times to wander around on our own during any free time we had. Gm would be our fixer and he would help us organize any extra activities we were interested in doing. He was also a medical student and his services would be needed when one of our tour mates tore all the ligaments in her right ankle. 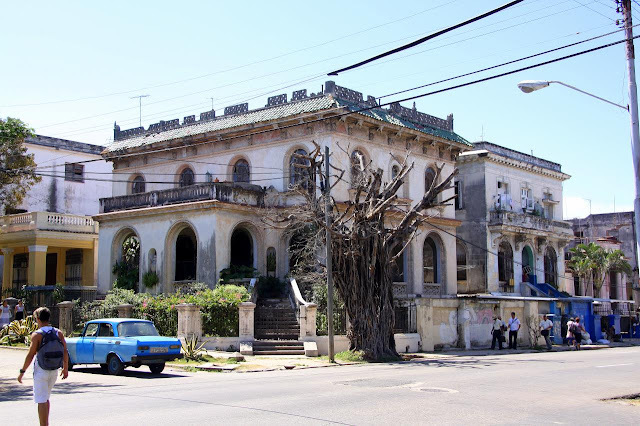 An example of the old houses of Havana. Our first stop was a gallery of a painter/photographer. The bus driver couldn't get the big bus close because of the untrimmed trees and construction near the artist's home so we got off the bus a couple blocks away near a park and walked. This gave us a good chance to see the magnificent old houses that were in various stages of decay and restoration. Many of the grander houses had been built by American mobsters before the revolution. At the house/gallery of the painter we learned about the vibrant art scene and met with the artist. Our mark outside of La Bodeguita del Medio in Old Havana. Next stop was old Havana for lunch. 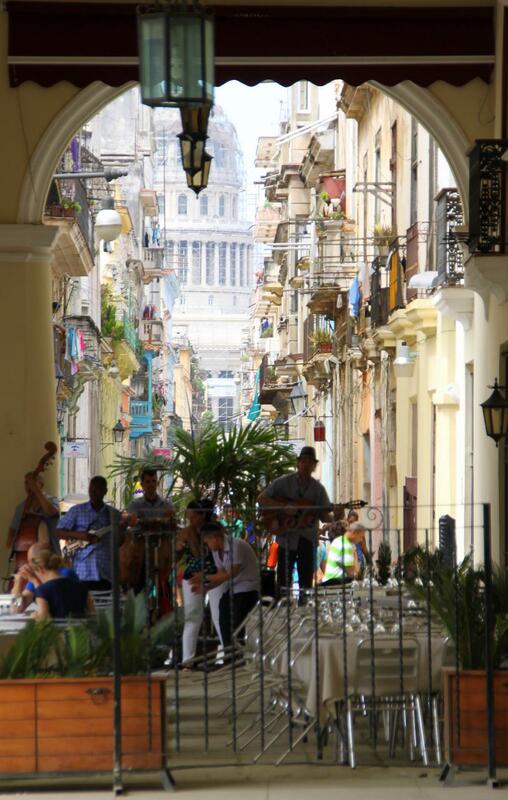 Just down a side street from Cathedral Plaza we waited in line to get into the La Bodeguita del Medio, a bar/restaurant frequented by Ernest Hemingway - he was fond of the bar's mojitos. As we waited the Wife added to the graffiti that covered the walls - both inside and out - of the bar. Serenaded at La Bodeguita del Medio. We finally got in and had a very satisfying lunch. Everyone - our travel agent in Omaha, the rep in Miami, and both of our guides - warned us that the food would not be very good in Cuba. I'm not exactly sure what they were talking about. Most of the food we ate was very good. Not all of it was to my taste but that was more a 'Me' issue than a Cuban food issue. The ice cream that was served after many meals was a nice bonus. A dancer in el Callejón de Hamel. Next stop was the Callejón de Hamel, a magnificently graffitied alleyway where we learned about the African roots of Santería and visited an artist gallery. 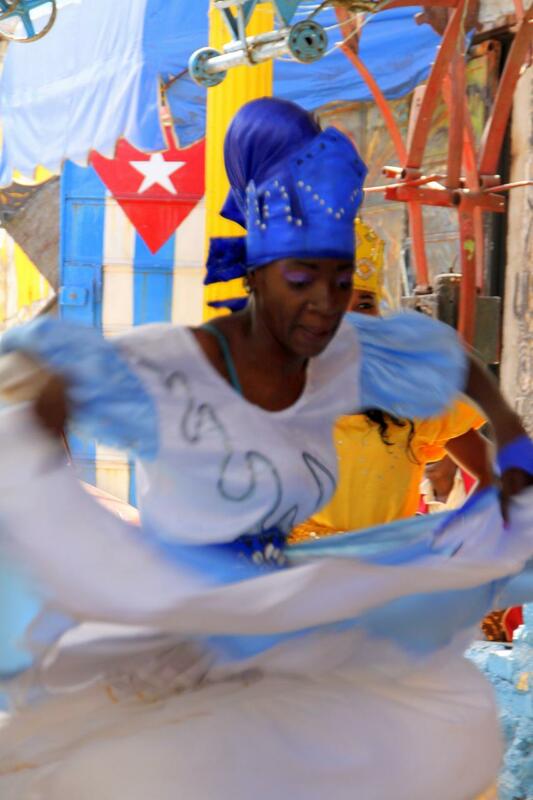 We were entertained and educated by a demonstration of african/santería dancers. Cuba is a surprisingly religious place for a 'communist' country. Last stop for the afternoon was an artist who worked in ceramic. By the time we got to her house we were all dragging a bit. Her art was interesting and provocative but what attracted my attention was a small wind chime with the animal pictographs from the Nazca plain. By a strange coincidence we had been talking about the Nazca lines with one of our tour mates at lunch. We checked into the hotel and went to our rooms. Our room key didn't work so I went down to the front desk. They reprogrammed the key. It did work again. Third time reprogrammed and ... still didn't work. The fourth time at the front desk they sent someone up with me. He flourished the key as if saying "Watch me you American simpleton as I demonstrate the use of the key card." He inserted the key and the red light came on and his smug smile disappeared, he became slightly apologetic, and he let us in the room with his personal master key. The lock was fixed a few hours later. Once I stopped wasting time trying to get into the room I showered and tried to take a nap. While it made me feel better I was still dragging a bit a couple hours later when we all got back on the bus to go out for dinner. The restaurant was a nice restaurant (El Figaro in the Barber district ... get it? Figaro ... Barber?) but it was a bit too fancy for my tastes. The serrano ham appetizer took me back to the Camino, I didn't really enjoy my chicken in mushroom white wine sauce (having said this I cleaned my plate), and the ice cream over flan for dessert was disappointing - I don't care much for flan. There was a surprise for us at the end but it turned out to be a rum tasting which, since I don't drink alcohol, I didn't participate in. By the time we got back to the hotel I was totally exhausted and both the Wife and I slept like the dead. Pictures can be found in my 2016-03 Cuba 2016 Google Photos album. If you look at the map in the blog's right column there is a new tiny sliver of blue just south of Florida. This afternoon we got back from an exceptional trip to Havana, Cuba. This trip was not only special because of the location and the people we met but this was the first international trip we've taken outside of the summer months (June through August) and Cuba is the first of two international trips we are taking this year which is also a first for us. I will be posting more details about the trip starting later this week. Today I am working on four and a half hours of sleep, two flights, and recuperating from an eight hour delay leaving Havana - there is a strange story there will be shared. I'm not in much shape to be composing travel posts right now. I will say that I enjoyed the trip, with some minor reservations, and I'm glad I could go before the tsunami that will crash ashore once the embargo is lifted. Oh Yeah. I hope everyone had a Happy π Day! The picture was taken under an overpass in Omaha. It is part of a city project to add beauty and interest to the city's bike paths. Today I took a "Try Scuba" class at DiVentures. The class was a two hour introductory class that walked you through the equipment, basic procedures like putting all the equipment (tank, buoyancy vest, weights, regulator) together, and basic procedures like getting water out of your regulator and facemask. After twenty or thirty minutes of explanation and demonstration we suited up and got in the pool. We started out in the shallow end and practiced the basic procedures and got use to breathing through a regulator. After we all passed our exercises (there were four of us in the group) we moved into the deeper end and basically had almost thirty minutes to swim around the pool. I have to admit I was a bit worried (me worried ... who would have thought). I was waiting to have some negative reaction like claustrophobia. I was a little worried that I wouldn't like it or that I would be unacceptably uncomfortable. A few minutes in the pool dispelled most of my worries. Breathing through the regulator was strange but not uncomfortable. If anything I may have been breathing a little too much - something that is expected for first time scuba divers. I'd been a bit worried about pain in the ears, something I'd experienced at the bottom of pools, but a quick pinch of the nose and a gentle blow equalized the pressures and the pain was gone. The swim around the pool was not the most exciting thing as you can expect but I did a few flips - both forward and backward - and played with the bubbles a bit while I passed the time and got used to the feeling of being underwater for so long. After the class I went to the front desk and signed up for the Scuba certification classes. I was a bit loopy as I filled out the paperwork. I guess the swimming took more out of me than I expected it would. The paperwork got filled out, with several scratched out errors (I couldn't seem to get my dates right), and I headed home where I discovered that I was totally exhausted. I think I will sleep well tonight. My classes start at the end of March. Five classes over three weeks - four hours each. Some of that time is classroom stuff, some is in the pool. Mostly emergency procedures I believe. After the classes I need to take four certification dives which I expect to get done in May before our South American trip. Not looking forward to the certification dives which are in a lake near Atlantic, Iowa. The water is going to be cold. The four dives can be done in one weekend so I can get it over with fairly quick and painlessly. I hope to have a chance to use what I learn in the Galapagos. Not sure I will be able to scuba but snorkelling is offered by our tour and I will be all over that. Who knows, future vacations may very well include a little scuba on the side. Can't wait! "A book is a terrible thing to waste."